We stayed here just before Christmas 2017 and we really enjoyed it. The Love Jacuzzi Oasis Room we stayed in was great value for money. The Mantra Samui Resort is located on a hilltop above Bophut (also known as Fisherman’s Village). 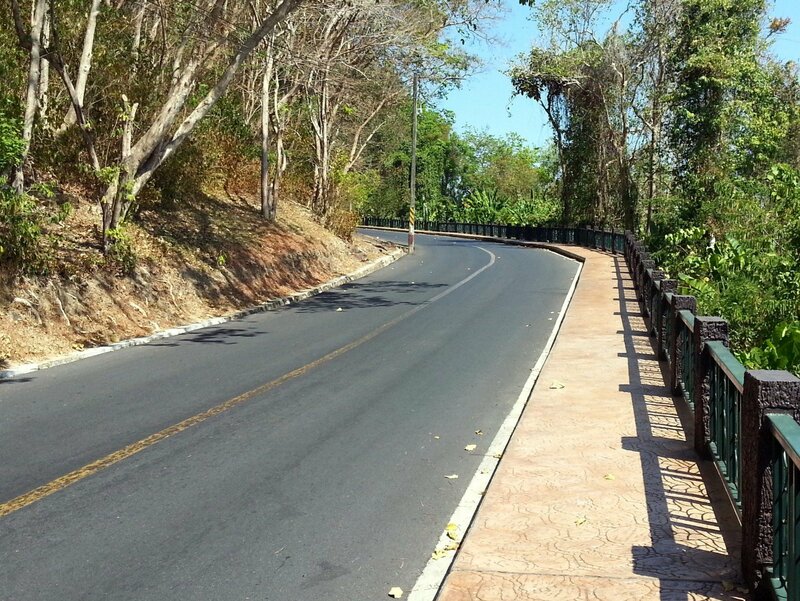 It is not within walking distance of Bophut, but we hired a moped for 200 baht per day from the ferry port when we arrived so it wasn’t a problem. If you decide to drive make a note to check Google Maps before you go as the turning off the main road is not very well marked. This said, after you turn off the main road the route is easy enough to find with lots of signs. From the hotel it took only 11 minutes to drive down to Fisherman’s Village in Bophut where we had a superb set seafood dinner in a restaurant overlooking the beach for 1,000 baht following a trip to the cinema at Tesco Lotus in Chaweng, which is an easy 16 minutes drive from the Mantra Samui Resort. 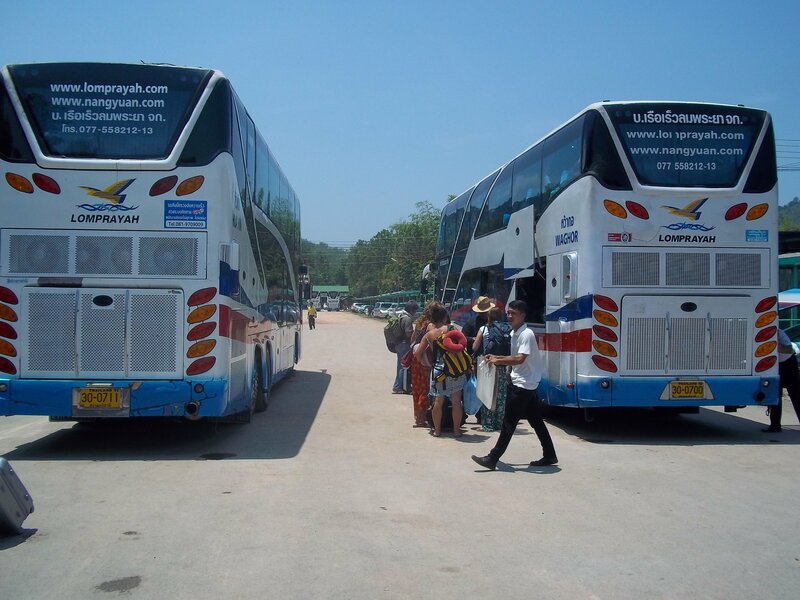 If driving is not your thing, the hotel has a free shuttle bus to Bophut, or you could do the 19 minute walk down the hill to the main road and pick up a shared or private taxi from there. The room we booked was excellent. The Love Jacuzzi Oasis Rooms (where we stayed) are massive. The hotel quotes 67 square metres, which seems like a fair estimate. 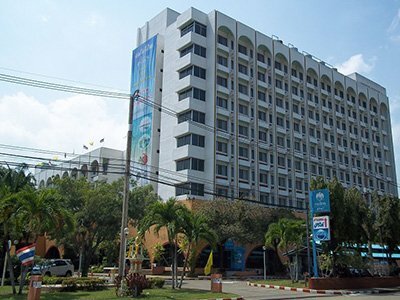 Bear in mind that the average room size for a 4 star hotel in Thailand is around 34 square metres. The room was excellently decorated with dark wood panels and Thai Objet d’art. The bed was comfy although low on the floor – which seems to be the fashion now in Thai beach resorts – which was fine for us, but awkward if you are older and have bad knees. The space in the room is filled by a sofa, coffee table and desk arrangement between the door and the bed. This room was more like a suite in that you can watch TV sitting upright rather than in bed, and the room is ideal for couples who want to chill out alone. This is a good place for a honeymoon as you can comfortably spend a lot of time in the room without feeling claustrophobic. There is a lot to keep you entertained within the room. I wasn’t very impressed by the range of satellite TV channels, but the room comes equipped with a desk top computer linked to the large flat screen TV, which as well as being hooked up to the internet comes with a pre-loaded hard drive of fairly recent films – several of which I hadn’t seen yet – as well as older classic movies. The room itself comes unusually well stocked with condoms and other ‘marital aids’ (children aren’t allowed in these rooms for this reason) which is presumably why they call it a LOVE room. There is also a large balcony with a big double cushion to sit or lie on and a hot tub. I don’t feel the hot tub concept really works. The tub had no water in it (I estimate one to two hours to fill it) and although it has a curtain you can pull around it, the balcony lacked privacy and most people wouldn’t feel comfortable having a ‘romantic’ soak in the hot tub at night. The common areas and facilities were well done. The reception is smart and informal as is the rest of the resort. They have gone for a hip and modern feel and they almost pull it off – I say almost as it felt slightly contrived. Case in point is the office located right in the middle of the reception area. It didn’t in any way annoy or disturb me (we only spent 5 minutes there checking in) but it felt weird. Hotels normally have a reception desk. This one doesn’t and unless someone comes to greet you, which they always do, you would not know where to go to speak to someone. This hip/informal feel is carried on through the rest of the resort. The restaurant/dining area is large and has great sea views. We didn’t have dinner there but we did have the breakfast. I give the buffet breakfast 6 out of 10. Coffee was good and the egg dishes you can order were very well presented. My reservations were the absence of English sausage and decent bacon. The bread and cereals were good and my wife enjoyed squeezing her own fresh orange juice. Beside the restaurant area is the pool. It had a great view but the pool area was notably too small to cater for the 74 rooms in the hotel. Because it was near Christmas time the hotel was full and the sun beds had all been taken by the time we went for breakfast at 09.00. It you want to spend a lot of time by the pool either get up early or consider booking somewhere else. Beside the pool area there is a great fitness and spa facility. Weights, running machines, steam room, sauna – the works. There is also a children’s playroom, an adult playroom with pool tables and the like, and a small cinema you can book to use with a group of friends. All in all I really enjoyed it. For the price we paid I might well choose to go again. One note of caution – if you have problems with walking up steep hills perhaps, avoid this hotel. It is only a short distance between reception up to rooms and fitness centre and then up to the family rooms, pool and restaurant, but it is steep. This said there is lots of staff around with golf buggies and the level of service was very good – if you or someone you were travelling with did have problems I am confident they could arrange a lift in the golf buggy whenever you needed to go somewhere.